Now 57 and a mother of six, Fatima is a lead farmer in NEF’s Olive Oil Without Borders (OOWB) project, which expanded to Jordan in 2017. Even though she has worked exclusively in Jordan’s agricultural sector for forty years, she told NEF that she has benefitted greatly from the information in NEF’s cross-border trainings and has shared her knowledge with other Jordanian farmers. Similar to olive farmers in Israel and the West Bank, farmers in Jordan face challenges with olive diseases, water shortages, and ensuring the production of quality crops and oil. Fatima and her family specifically face many obstacles such as a lack of updated agricultural equipment, changing climate conditions, and a general lack of support for the agricultural sector in Jordan. Through the OOWB project, Fatima and others have been able to benefit from the knowledge of other olive farmers across the region. These interactions have reaffirmed her commitment to working together with her community to overcome some of these issues and improve their olive oil production. 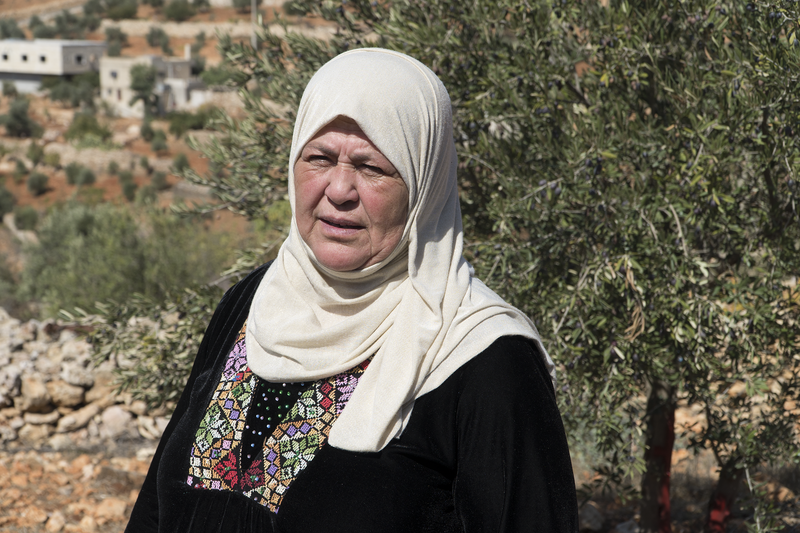 With her dedication to this work and to teaching others, Fatima developed a Farmer Field School on her land with the help of NEF where she shares improved techniques for olive farming. OOWB, implemented by the Near East Foundation and funded by the United States Agency for International Development, works to promote long-term, large-scale collaboration in the olive sector through cross-border initiatives and trade agreements that increase income, production yields, and regional trade. These efforts have so far brought together 5,000 Jordanian, Palestinian, and Israeli farmers, mill operators, producers, and other agricultural stakeholders.